Second Cities aimed to travel from Manchester to Marseilles via a series of consecutive rail journeys. Travelling from Manchester, the city aspiring to be the UK’s number two, down to France’s established second city, Marseille, shed light on three fundamental themes: the level of connectivity to conventional and High Speed Rail infrastructure, the interdependence of rail infrastructure and city regions, and the devolution of power between a country’s capital and second city. The future of Europe and Britain’s role within a union pushing for greater integration is no longer just a theoretical question; transport and rail infrastructure can lead the way – it’s surely no coincidence that our physical link to the continent is via a High-Speed Train. During the summer of 2015, Second Cities undertook and recorded an ambitious rail journey, the connections, and onward connections, actively engaging rail users along the way. 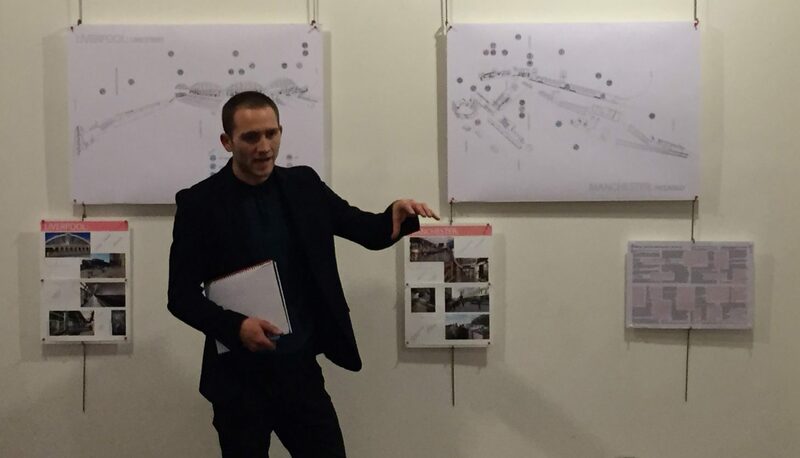 Before the journey began, a roundtable discussion was held to explore the criteria and themes of the project with a number of transport-savvy Young Urbanists, Academicians and practitioners. 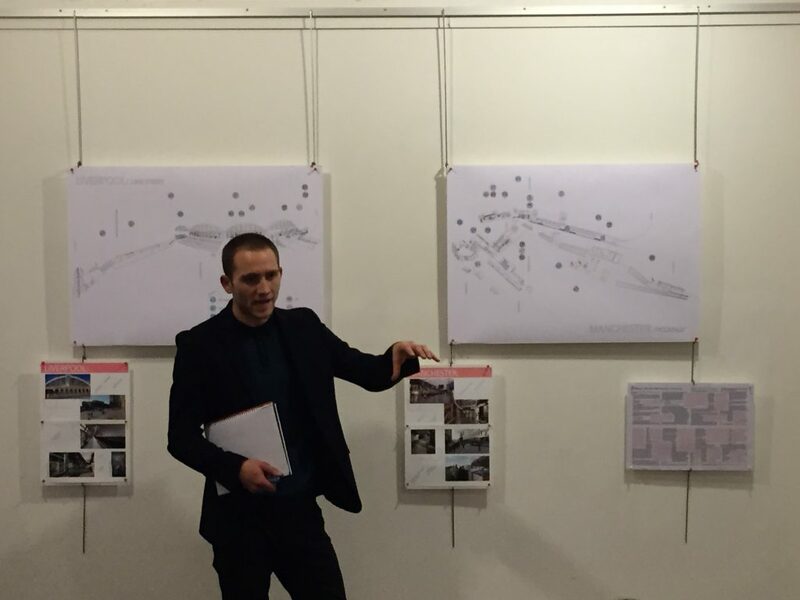 Part of the output of the project was an event hosted in the Alan Baxter Gallery at Cowcross Street in November 2015 that invited Young Urbanists and other interested practitioners to discuss the findings of the project. The event included a talk, video, and interactive workshop with incredible illustrations and other outputs from the journey, using the lessons learned throughout the rail journey to rethink stations and their surroundings with attendees. You can see photos from the event on the Academy’s Flickr page here, including Charles’ incredible hand-done drawings of each station visited during the project. Another output of the project was the video compiled by Project Assistant and YU member Julie Plichon. The video (below) documented the rail journey, providing insights into the connections and stations explored in the 6 cities (Manchester, Marseille, London, Liverpool, Paris and Toulon). Charles has produced a final report for the project (above and via link following) and has presented it directly to senior executives involved in the delivery of HS2 in the UK in order to test the validity of the conclusions/findings from his project. The Second Cities Report could prove beneficial moving forward, as the ‘snapshot’ nature of the study made it easier to directly compare existing rail services, connections en-route and peoples perceptions of HSR travel. These are important themes which can directly feed into, and complement, more rigorous research on the development of a HSR network here in the UK. Charles would like to thank YU members Julie Plichon and Nicholas Hugh Goddard for their invaluable contribution to the project, and Henk Bouwman AoU for his expertise throughout.